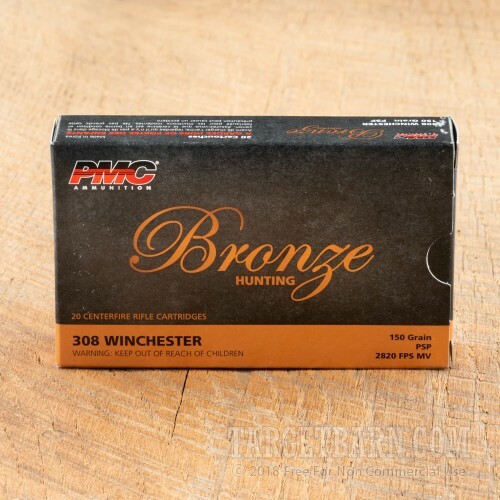 Pick up this 800 round case of soft point .308 Winchester ammunition from PMC for all your hunting and target shooting needs. 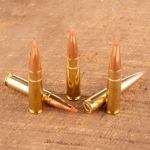 This ammo produces trajectories comparable to those of mil-spec M80 ball, reducing the amount of optics adjustment necessary when transitioning between the range and the field. 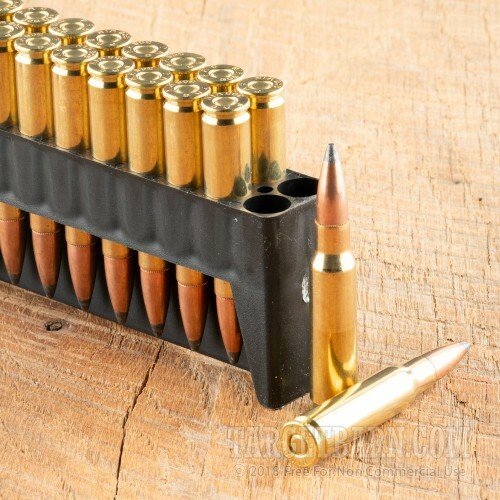 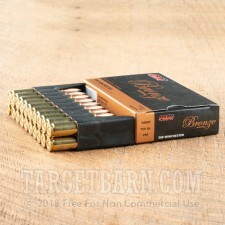 Each cartridge in this bulk priced case fires a 150-grain pointed soft point (PSP) bullet at 2,820 feet per second. 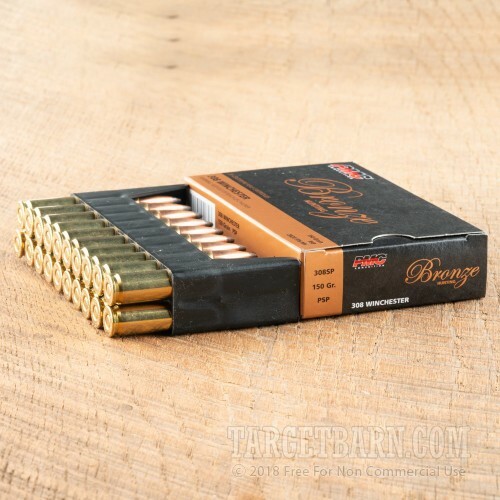 The PSP is ideal for hunting as it will expand into a lethal mushroom shape in deer or other game without fragmenting and destroying excessive amounts of meat. 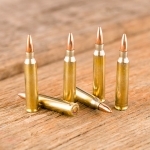 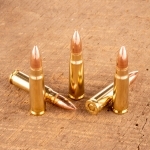 Soft point bullets expand best at high velocities such as those provided by the .308 Winchester. 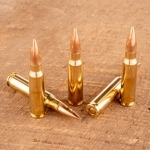 PMC ammo is made in South Korea by Poongsan, a defense contractor that manufactures its components in-house for improved quality control. This ammunition uses non-corrosive primers and reloadable brass.